Hey, did you hear the one about the group of people fleeing from a devastating flood and became so scared they literally turned into stone? Well if you didn't, a trip to the Superstition Mountain Museum in Apache Junction, Arizona, can provide all the details. The museum displays and preserves artifacts, folklore and history of the surrounding mountain range. The 12-acre museum painstakingly recreates life in the the 1800's. Some of the displays are a stagecoach, Wells Fargo Bank, barbershop, and a gigantic 20 stamp ore crusher which was used to discover gold. One of the most popular legend of display is the story of Jacob Weitz, better known as the Dutchman. He was believed to have found the richest gold strike ever. Despite pleadings from his friend and family, he never divulged nor confirmed its existence and took the secret to his grave. 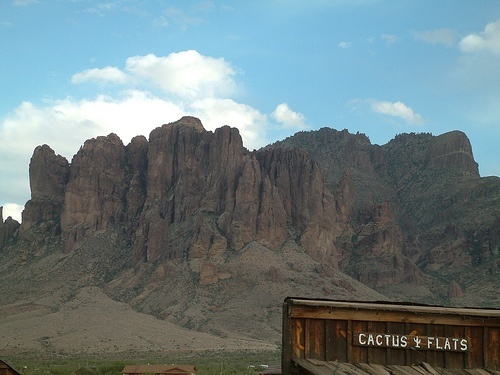 Today scores of people still arrive to search for the elusive gold mine, the Lost Dutchman's Mine. The museum has many different exhibits. One of the most quirky is the Elvis Presley Chapel. It showcases memorabilia about movies made in the area. One of them features a young Elvis as he laid wounded in the movie "Charro." To immortalize this scene some of the sand is kept in a loot bootle. The Natural History exhibit showcases a variety of local animals and reptiles, along with over 100 species of birds. For a change of pace, the military exhibit displays saddles, uniforms, weapons, diaries, and journals from many conflicts from the 18th and 19th century. 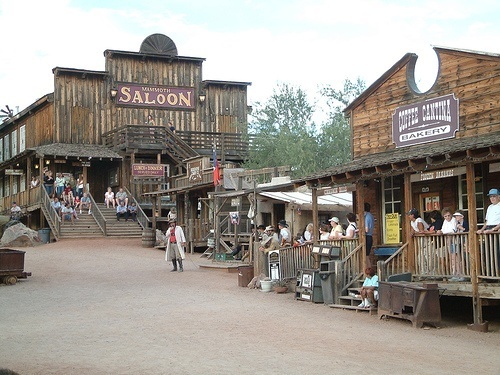 So whether fact, fiction or just plain fantasy the Superstition Mountain Museum in Arizona is not to be missed. In fact the view of the stunning mountain range is worth the trip all by itself. Together it is priceless. Last updated by Randy Taylor on 18 May, 2011 in Destinations.